There are multiple ways to take a screenshot on recent models of the Google Pixel phone. 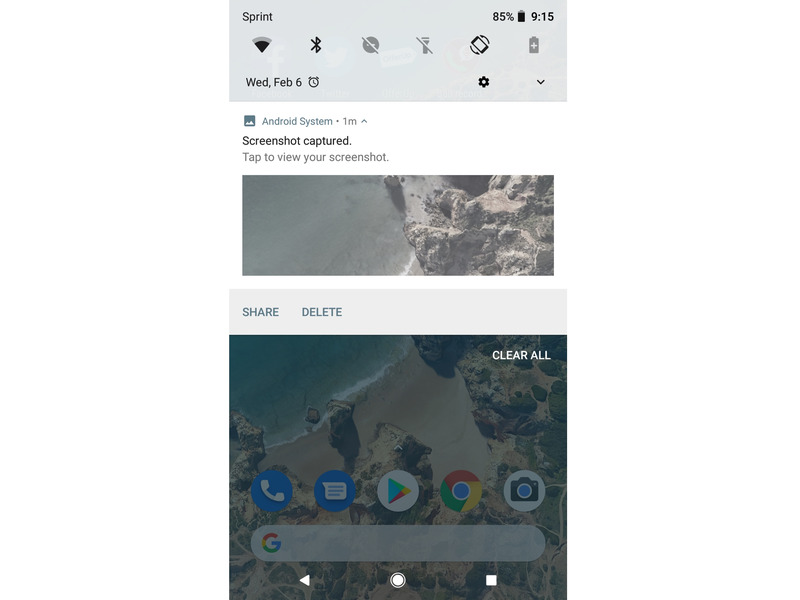 Taking a screenshot on a Google Pixel 2 or 3 is simple and consists of pushing the power and down volume keys simultaneously. There are also alternate ways to take a screenshot for those with a damaged phone. Screenshots can be immediately accessed in the top toolbar, but are also stored in the photos file for later viewings. 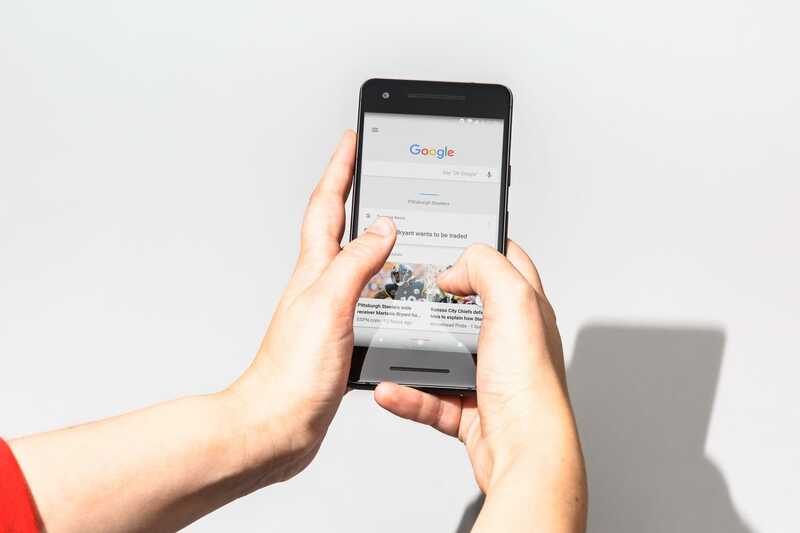 Like any new device, Google's phones come with a bit of a learning curve, especially for those who are switching from another type of phone, like an iPhone or Android. 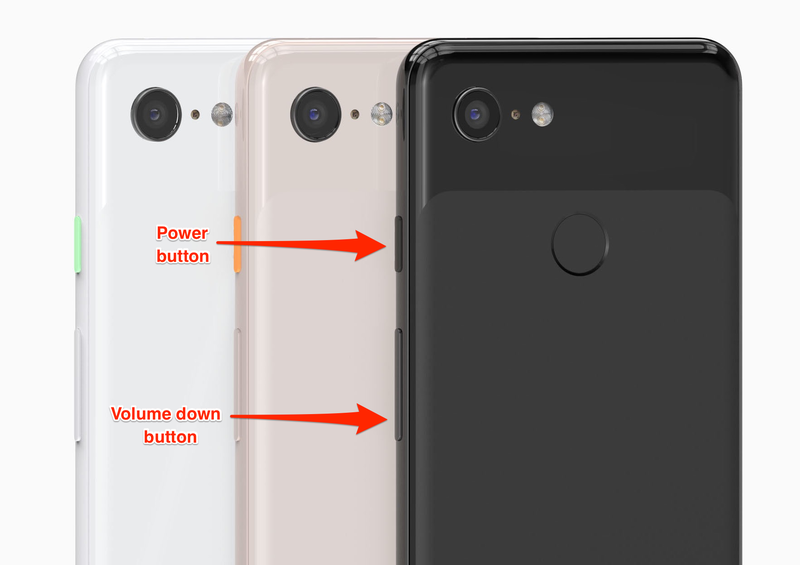 The power and volume down buttons on a Google Pixel 3. Provided your Pixel 2 or 3 is fully functional, taking a screenshot is an easy process: Simply push the power button and the "down" volume key, which are both located along the right side of the device, at the same time. On the Pixel 3, you can also hold the power button and tap "screenshot" from the dropdown menu that appears on the upper right hand side of the screen. The phone will make a sort of clicking noise. You'll be shown a smaller version of screenshot for one or two seconds (this is your verification that the screen has been captured and stored) before it reverts back to the screen you were viewing. A small picture icon will then appear at the top of the screen. 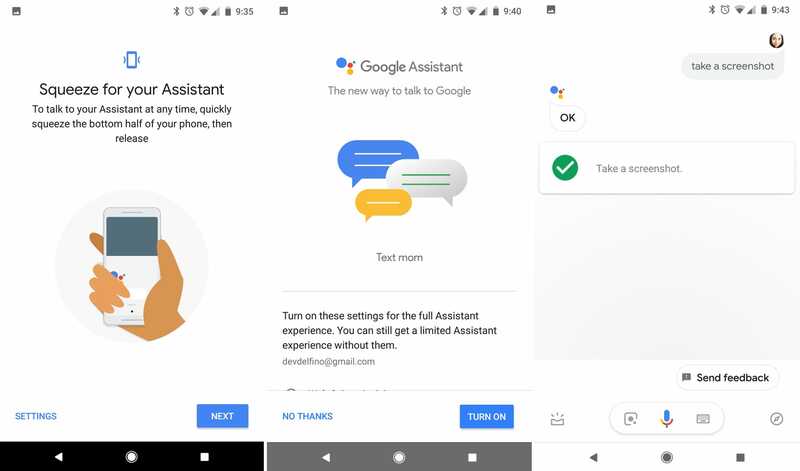 Long press on the home button (that's the circle at the bottom of the screen), or squeeze the bottom half of the phone's edges, to turn on the Google Assistant function. If you are just setting it up, be sure to enable the "use screen context" function (otherwise this method will not work). Say the phrase "take a screenshot." You'll then be prompted to edit or share your screenshot - and if you don't select a sharing option (like "upload to photos"), it will be deleted, rather than stored on your device. Note: Some users have reported issues with this method. From personal experience, you may have to enable the Voice Match feature to get this alternative screenshot method to work. Now that you've got a screenshot, you'll probably want to take a look at it. You can access it by pulling down from the top of the screen and clicking anywhere on the alert which reads "screenshot captured." It will also show you a faded out view into part of the screenshot. 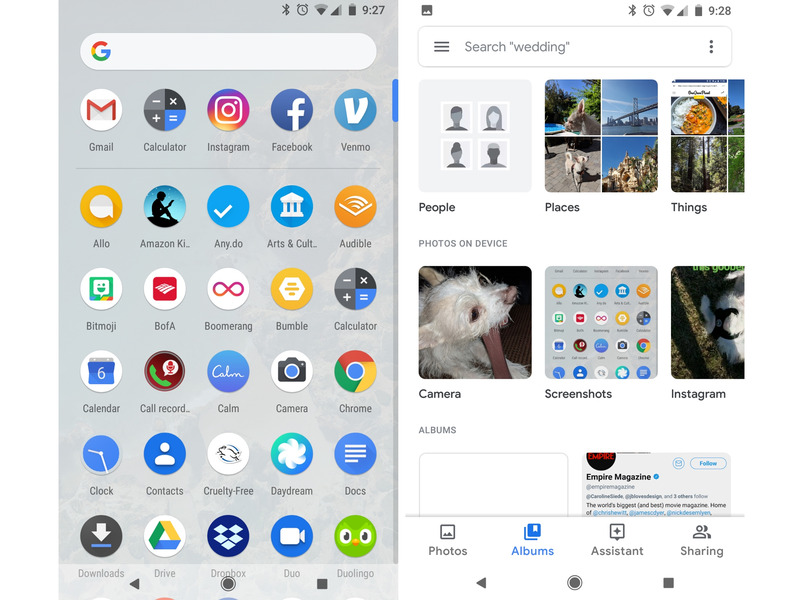 If you've already cleared the notification by swiping it to the right or left side of the screen, you can also find your screenshots in the photos file. To get there, simply swipe up from the main screen to view your apps and select "Photos," which has a colorful pinwheel icon on it. From there, you'll be shown a chronological view of your photos, including screenshots. If you're trying to find an older one, toggle over to the "Albums" view and select "Screenshots." It should appear under the "photos on device" heading and will also be sorted and grouped by date. Locate screenshots in the "photos on device" section of the "Photos" app. Since the Pixel 2 and 3 are a Google phones, it also comes with automatic syncing to your Google account. That means you can access your screenshots on any device as long as you're logged in. On a laptop, for example, you'd go to photos.google.com and you'd see those screenshots as well as all the rest of your photos. From there you'd be able to delete, archive, and download your screenshots. If at any point you need to go back but the main navigation bar isn't showing up, simply swipe up from the bottom of the screen and click on the "back" carrot.